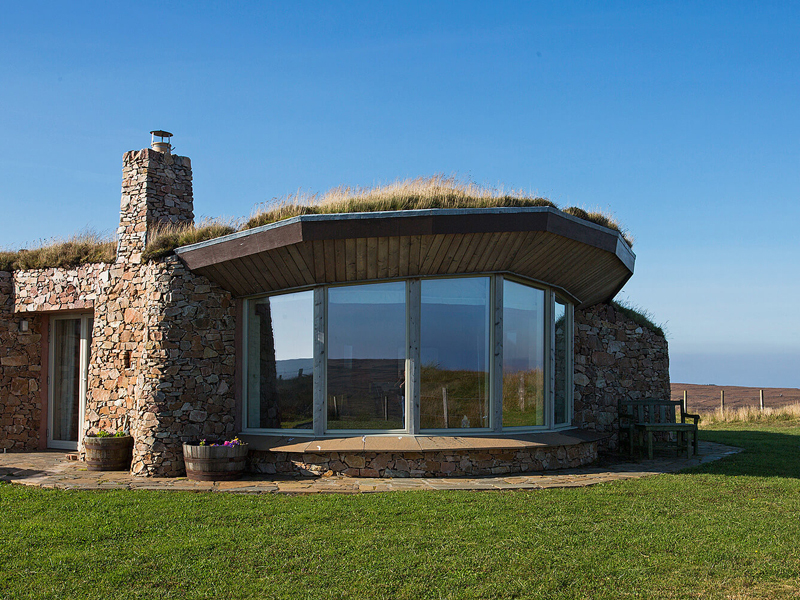 For privacy, independence and a whole lotta style, these beautiful boltholes are heaven. 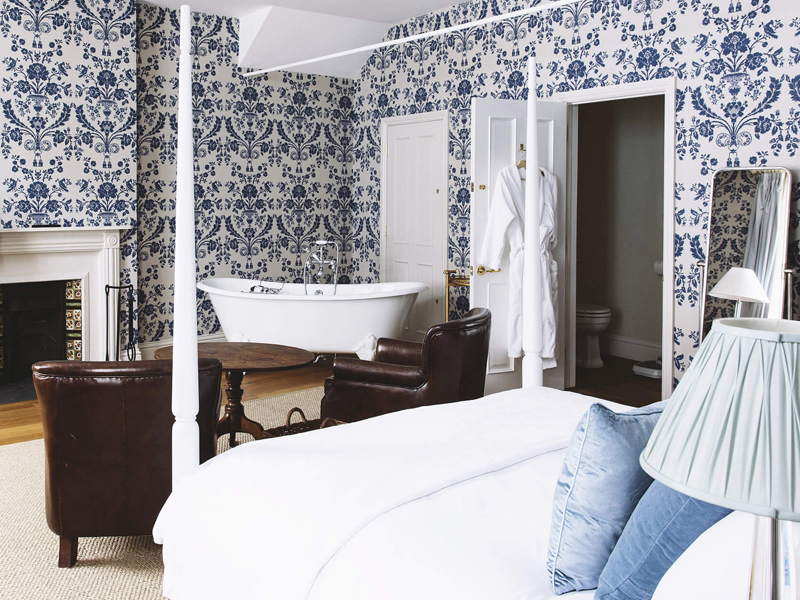 There’s a fairytale thatched cottage on the Devon/Dorset border (check out the double-ended bathtub); 5 uber-stylish retreats on the Norfolk Coast (Starck chairs, four-poster beds), and a pair of cosy boutique apartments in a charming Dorset market town (superb value). 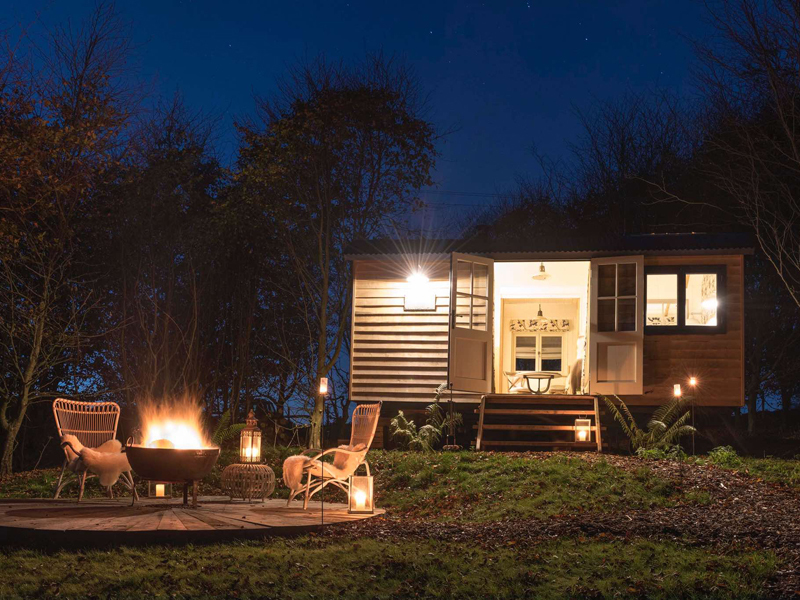 And then there’s the ultimate in romantic glamping: drink wine by your firepit, stargaze from your bed and go walking on Dartmoor. 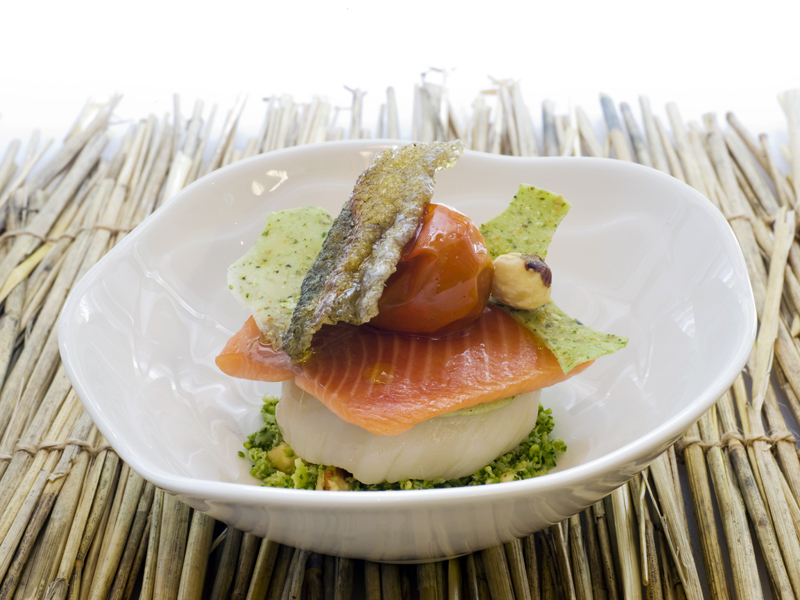 If the way to your heart is via your stomach, you’ll love these scrumptious retreats. First up is a boutique farmhouse in the Forest Of Dean, where the chef serves an innovative ’20-mile menu’: Gloucestershire game terrine with pear chutney, then Welsh lamb shoulder with black cabbage and bronze fennel. Of similar calibre is this lovely Lake District hotel, where romantic views are dished up alongside exciting Italian cuisine: we loved the paccheri pasta with a cuttlefish ragout, black béchamel sauce and turnip ketchup. 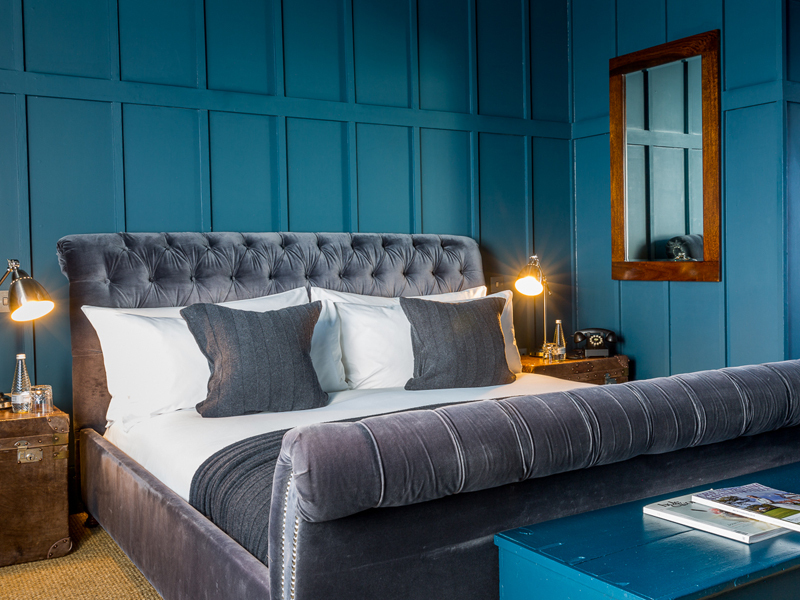 If you’re after a real taste storm, this Edinburgh hotel offers a magical Michelin-starred experience, full of surprises… Or for award-winning pub grub, whiz down to Cornwall and hole up here for the weekend (the BEST Sunday Roast we’ve ever had). Culture and top restaurants on your doorstop; seriously gorgeous rooms for lazy lie-ins. This luxurious B&B in our home town of Bristol has panoramic city views and delicious breakfasts in bed. Stroll into central Edinburgh from this luxurious small hotel, where i-escape guests get free champagne when booking a suite, or discover Georgian Bath from this hugely romantic base, with spoiling touches a’plenty (home-baked coconut macaroons and a triple pillow menu). Or come for cocktail hour and stay on at this fabulously quirky London hotel, set in trendy Clerkenwell. A night away with your beau needn’t break the bank: these escapes are high on style and impressively low in budget. Choose from a rustic-chic riverside hotel in Bradford-Upon-Avon, with a fantastic dinner, bed and breakfast deal in Feb; a stylish countryside escape near Hay-on-Wye (we loved the delicious breakfast hamper, delivered to our door); a smart adults-only retreat near Bath or this delightful Dorset inn with a buzzy bar and restaurant. 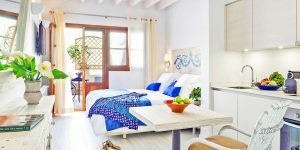 And for classic romance, here are 4 perfect all-rounder hotels, with beautiful rooms, a buzzy bar and a great restaurant. We’ve just added this boutique getaway on the Isle of Wight (2-3 hours door-to-door from London, via rail and sea). 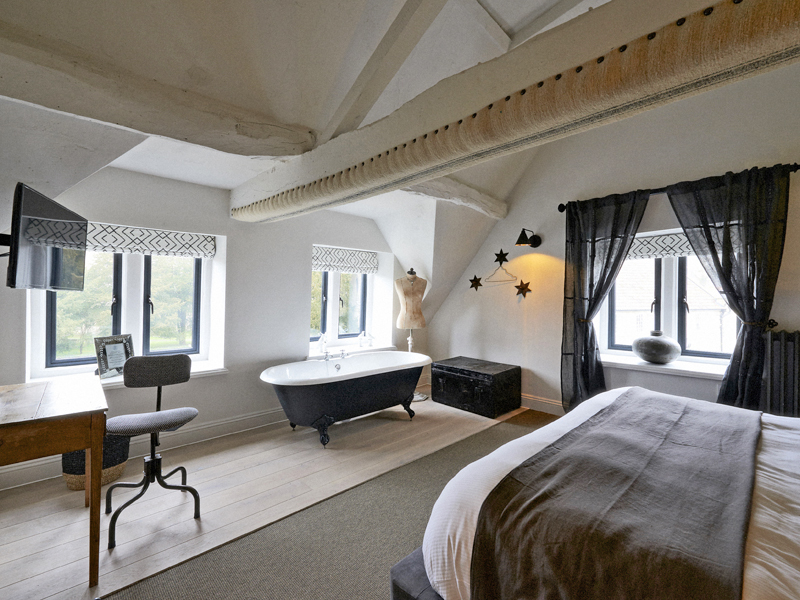 Or try a romantic Cotswolds bolthole with Scandi-chic rooms and a choice of elegant restaurant or buzzy pub for dining. This fabulous Yorkshire bolthole has been dubbed ‘The Northern Babington House’; come and see if you agree. Art lovers, meanwhile, should book this chic restaurant-with-rooms in the heart of elegant Cheltenham, whose walls are home to works by Henry Hudson, David Hockney and Sir Peter Blake. Why not buy an i-escape Gift Card and choose your dream UK getaway together? Still set on a Valentine’s Day escape? These places still have space on 14 February!